Narinder Dhillon (India) leads the Center's Cucurbit Breeding Unit. 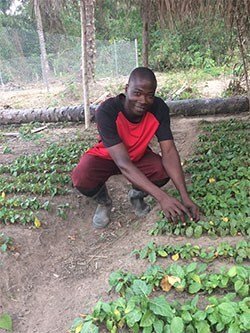 He works on the development of bitter gourd and tropical pumpkin inbred lines and hybrids for the tropics, with emphasis on improved fruit yield and quality, multiple disease resistance and heat tolerance. 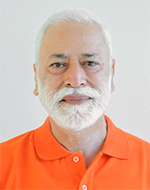 Prior to joining the Center in 2010, he worked at Punjab Agricultural University (India), University of California, Davis (USA); Plant Breeding International Cambridge (UK); Japan International Research Center for Agricultural Sciences (Japan), The Institute for Food Research and Technology (IRTA), Spain; French National Institute for Agriculture Research (INRA) at Avignon, France.